Squirt (A102884) is a loveable six year old spayed female beagle. This nosy gal needs lots of on-leash exercise and play-time in a fenced-in yard. She loves treats so is highly trainable. While Squirt respects children, she doesn't like their noise so a home with older, respectful children is best. 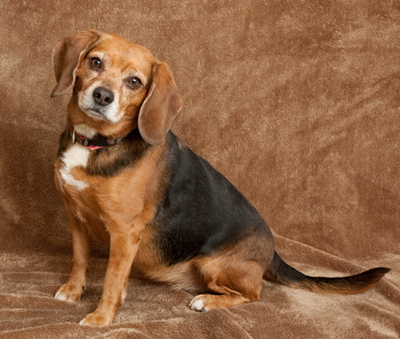 If you're looking for a faithful hound companion, Squirt may be the dog for you. For more information, contact the Ottawa Humane Society at 613-725-3166 ext. 258 or at adoptions@ottawahumane.ca.